Atari has continued its teaser-trailer approach to what is purported to be a retro version of its classic games console. 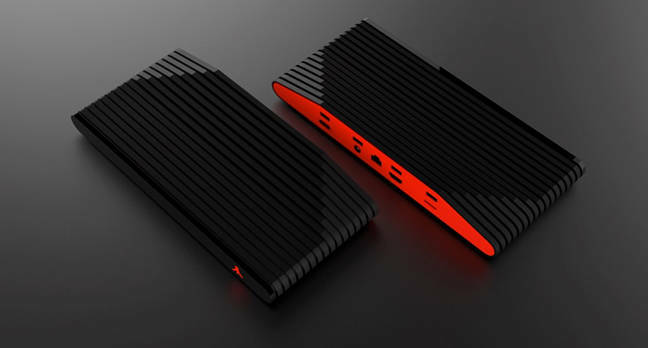 The company, which currently exists as an intellectual property firm with just 10 or so employees, has released some pictures of the new Ataribox – but refused to provide any other details, including a launch date. 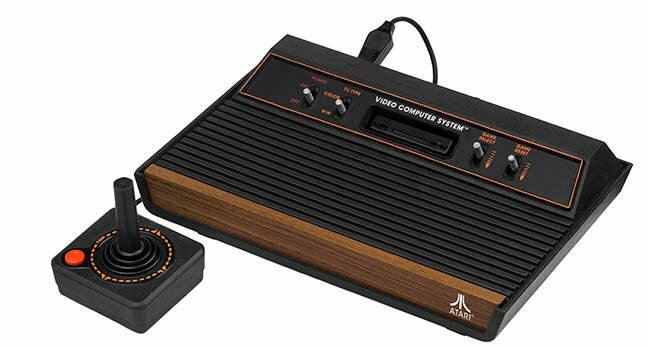 There will actually be two Atariboxes: one modeled on the original Atari 2600 from the 1980s with wood paneling, and a more modern-looking console in black plastic. But beyond the fact that it will have an HDMI output, four USB inputs and will use "PC technology," there is no other information available: no hardware details, no software details, no price, no launch date, no distribution deals. That confirms our suspicions last month, when Atari announced the idea, that the company is trying to gauge demand before it commits to hiring a hardware team to turn the concept into reality. "We've been blown away by the feedback since the teaser release, and today, we're excited to share an exclusive first look at the Ataribox design with you," the company said in an email to those who had signed up for updates. "Our objective is to create a new product that stays true to our heritage, while appealing to both old and new fans of Atari." But the reality is that the box is currently empty. "We want to get this right, so we've opted to share things step by step as we bring Ataribox to life, and listen closely to Atari community feedback as we do so." The company faces a tight release window: it is trying to capitalize on the fact that its iconic name and logo will be featured in the upcoming Blade Runner movie, which is certain to be heavily promoted. But if the company wants to ride Blade Runner's coat-tails, it has less than three months to do so, as the movie premiers on October 7. Atari 2600: the original and still the best? Not that there isn't an opportunity for success here. Nintendo released a retro version of its classic NES console at the end of 2016 and was bowled over by the demand. The company sold 1.5 million copies and then in April, to many people's chagrin and surprise, announced it had discontinued production of the $60 machine. The machine now sells for up to $500 online. Speculation is rife as to why Nintendo gave up on what looked like a clear success, with the only indication given in a presentation [PDF] from its president Tatsumi Kimishima in which he talked about product shortages and noted that "some parts require time to procure, but we are working to increase production." And while Nintendo noted the "nostalgic interest in these products," Kimishima said that for the company it was primarily "an opportunity to draw consumers' attention to our latest game system, Nintendo Switch." The switch was launched around the same time that Nintendo dropped its NES console, suggesting that the company decided to simply dedicate all its resources to the Switch, which retails for $300. Some hoped/predicted that the Switch would incorporate an emulator that enabled users to switch to a classic mode and play old Nintendo games – but nothing so far. Atari is not in the same position as Nintendo, however: it has no plans to create new games and keep pace with the fast-moving games market, so a console with its classic arcade games could be a serious revenue producer for the company – if it can get it right. But given the fact that it has no employees who can build a physical games console, that its biggest opportunity lies less than three months away – with only one shot to get it right – and that all we have right now is a series of pictures... well, if Atari pulls it off, it should be congratulated. It's worth pointing out that there already exists a bunch of all-in-one third-party toys that you can plug into your telly and play old Atari games. If that's what you want to do, the gizmos already exist, as well as emulators on your PC or Mac. There's also the Atari Flashback series, although these used legacy TV outputs whereas the new official kit is supposed to do HDMI. Basically, it seems Atari is trying its luck by offering something new and official based on today's tech, if there's enough demand.